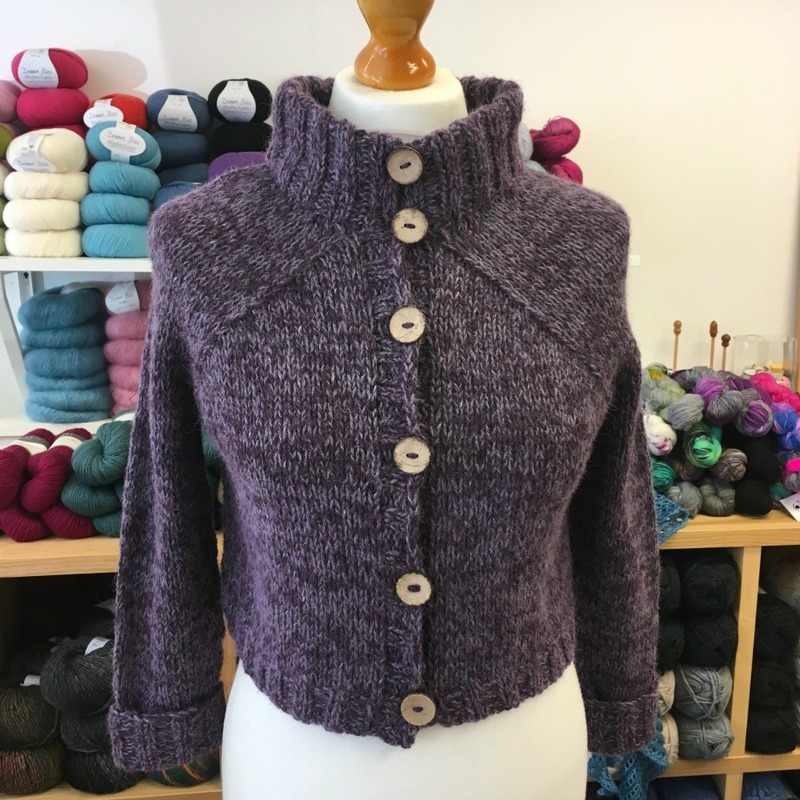 Kate Davies' Carbeth sweater and cardigan appeared to cause a mass cast on earlier this year, so we've naturally jumped on the bandwagon and made one for the shop! I've used Rowan Felted Tweed DK in two shades of purple, holding two strands together. If you have a look through the projects listed on Ravelry you can see how versatile this seamless pattern is. It's easy to change the length of the body (it's written as a cropped length) and the sleeves. How about adding some shaping (it's a boxy shape) or stripes to destash. We've got over 10 shades of Rowan Felted Tweed in the shop, lots of lovely combos in you like the marled look. You can buy the pattern on Ravelry yourself or in the shop.